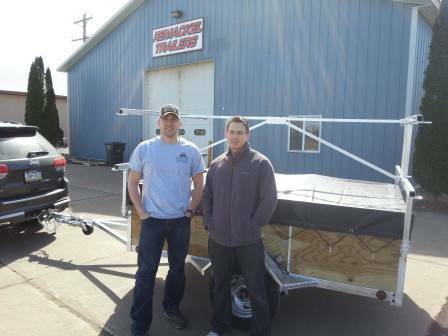 We would like to think Jim and Tim from Erie, Pennsylvania for driving 13 hours one way to pick up their 4 place canoe trailer with 24″ sides. Jim also choose to upgrade his lights to LED lights. This Pennsylvania canoe trailer will last decades do to its hot dipped galvanized trailer frame and canoe racks.